This product has the supplements that your body needs while on the HCG Diet! It will supply you the energy, the fat burning support, and the appetite suppression support that you need. 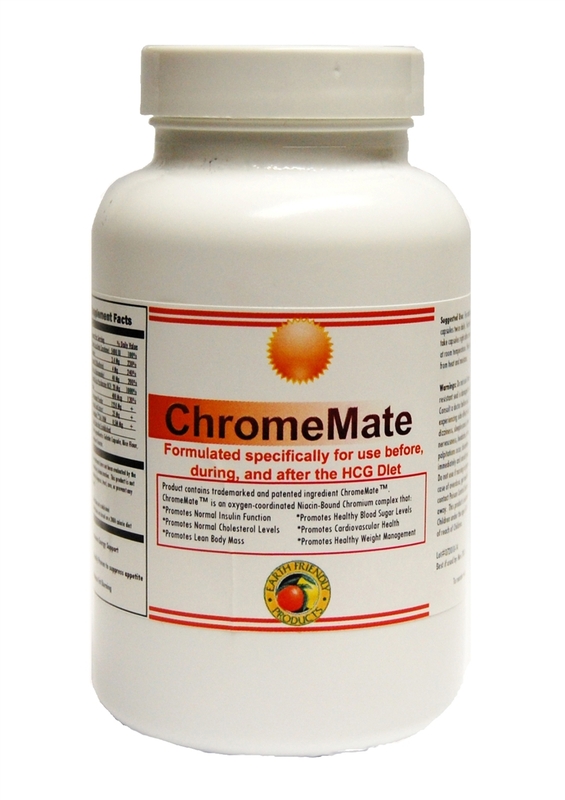 Those who have taken ChromeMate while also on the HCG diet have lost up to 30% more weight than when dieting without it. It is the one product that contains all the support you need while on the HCG diet. Our ingredients provide a blast of energy support, starting with a Vitamin B complex built specifically for dieters. Also, to further provide needed energy, and increase endurance, we have included Guarana. Guarana is known as "a natural caffeine", without all the negative side effects of actual caffeine. We have also included the patented ingredient of ChromeMate™. 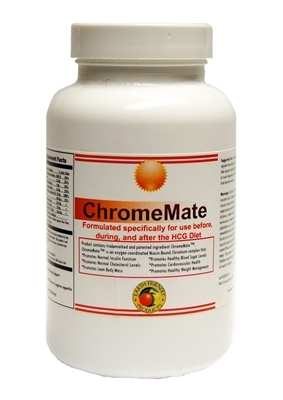 ChromeMate™ is an oxygen-based Niacin-Bound Chromium complex.